01/ In honor of Shark Week, I give you the best shark attack scenes in movies. You can bet there are some real gems in there! 02/ NPR published its annual list of Top 100 Teen Novels. Though I haven't read many of the books on it, I can say that I was certainly pleased with the most of the top 10. 03/ I've always wondered what Pixar characters do in their spare time. 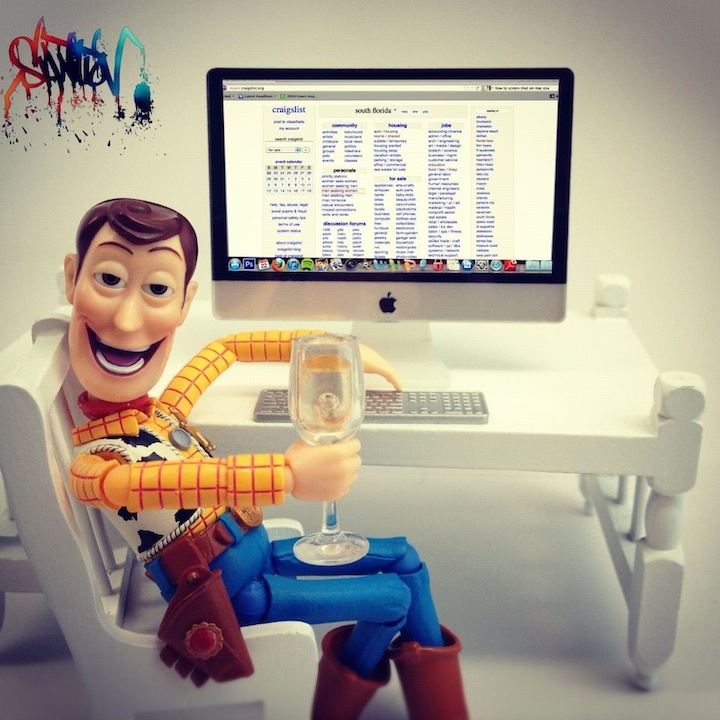 You've got to check out The Hilarious Secret Life of Woody (from Toy Story). Now I know. 04/ I don't have an e-book reader yet, but if I did, I'd totally be buying this Nook cover from Jack Spade. How cool is that? 05/ I'm super stoked for the midnight release of The Hunger Games on DVD! Enter your zip code to find a midnight release party near you. And may the odds be ever in your favour! 06/ What would you do for one of these adorable book clutches from Kate Spade? She features a variety of the classics, each of which I'd kill to own. Seriously. Like I-would-totally-murder-for-one-of-these. 07/ Sometimes when things get crazy and I need a break away from the computer, I like to write my ideas down with pen and paper. I could really use a cool notebook to keep me motivated. 08/ Check out these amazing 8-bit movie posters from artist, Eric Palmer. Pretty retro, eh? 09/ So they're re-making Great Expectations and they've just released the international trailer. Helena Bonham Carter looks super creepy, no? 10/ As a tribute to my very first book review, I present one of the greatest bookish buys I've ever seen--The Princess Bride cross stitch. I want, no, need one of these in my life. I never read all of Great Expectations! They made us read excerpts when I was in high school, but never the whole book. I will have to check it out. I agree...Helena Bonham Carter looks crazy creepy in that picture!